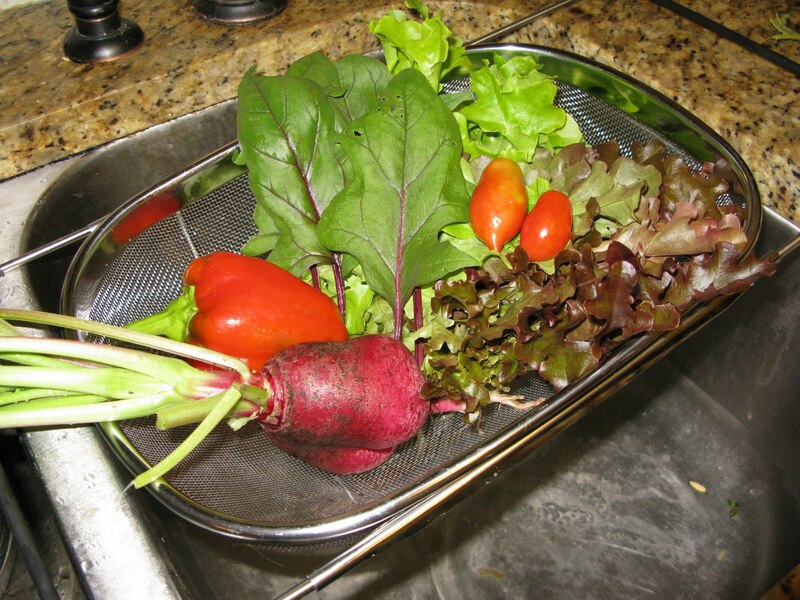 I made a tasty salad from the garden… radish, pepper, spinach, lettuce, and tomato. Mmmm! >That does look like quite the feast. Isn't it great to have fall veggies so late into the year? >That sure is a good looking radish. I love radishes and was wondering, what kind is it? >Isn't it wonderful to be still picking tomatoes in November. I must check my radishes- I bet they are ready after yesterdays rain. >Sorry I haven't checked my blog in a few days.The radish is called "Crimson Giant"I do love still getting tomatoes, but Diana I think your loss of the tomato plants a few months ago was a blessing in disguise. I just had to rip out my 4 cherry tomato plants (due to pests) and it's much too late to start new ones. I think next year I'm going to start fresh for the fall garden.